Harold Ruse's father was Frederick Ruse (born Silverhill, Sussex about 1872) who was a greengrocer. His mother was Lydia Ruse (born Brighton, Sussex about 1879; died 20 September 1954 at Royal East Sussex Hospital, Hastings). She gives Assistant in Business as an occupation in the 1911 census. Harold Ruse was educated at Hastings Grammar School, Sussex, before matriculating at Jesus College, Oxford University. After taking a B.A. at Oxford he was awarded the Bruce of Grangehill Research Scholarship by the University of Edinburgh. He was appointed as a Lecturer in Mathematics in Edinburgh University in 1928 and held this position until 1937. During this time Ruse spent session 1933-34 in Princeton where he was supported by a Rockefeller Research Fellowship. 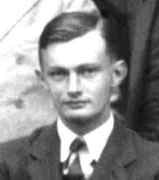 In 1937 Ruse was appointed as Professor of Mathematics at University College, Southampton. He was unmarried and lived at Connaught Hall in Southampton. Ruse remained there for nine years until he was appointed as Professor of Pure Mathematics at Leeds University in 1946. He remained at Leeds until he retired in 1970 at the age of 65. From 1948 to 1968 he was Head of the Department of Mathematics at Leeds, then for his final two years at Leeds he was Chairman of the School of Mathematics. Ruse joined the Edinburgh Mathematical Society in January 1927. He served the Society as Secretary from 1930 to 1933, and was then honoured by the Society when elected president for session 1935-6. From 1929 he was a member of the London Mathematical Society, serving on its Council from 1938 to 1945. He was elected to the Royal Society of Edinburgh on 2 March 1931, his proposers being Sir Edmund T Whittaker, Sir Charles G Darwin, Edward Thomas Copson, Charles Glover Barkla. The Society awarded him their Keith Prize for papers he published during 1935-7. An obituary, written by A W Goldie, appears in the Royal Society of Edinburgh Year Book 1975, pages 47-48.